Now stay with me, I’m going to stretch a long way to make this link… This weekend is the Queens Birthday long weekend here in Sydney, which made me think about posting something old fashioned and traditional, and where do you look for a traditional recipe? the CWA of course, so I decided to make a coffee cake. Still with me? Ok I know I’m stretching to make a link here, but really I just had a craving for a cake. 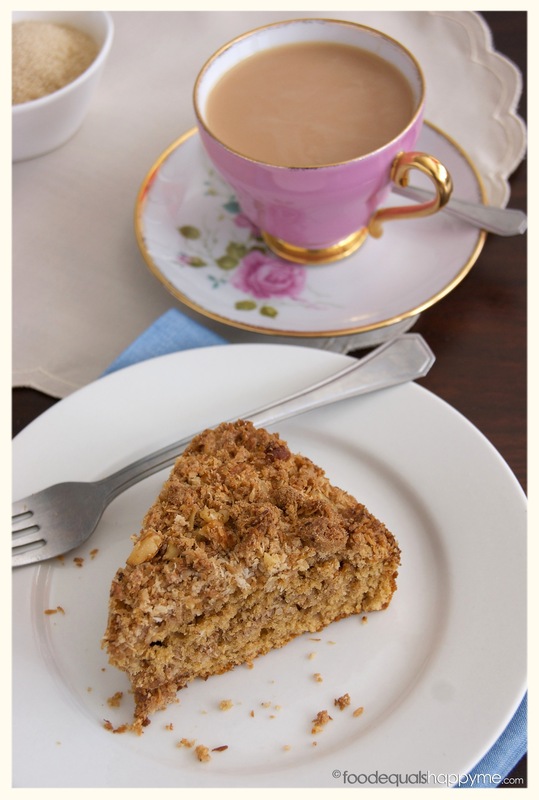 I consulted the CWA (Country Women’s Association for those of you that don’t know) cookbook and thought ‘ooh a coffee cake would be nice’ got the ingredients out and starting mixing. 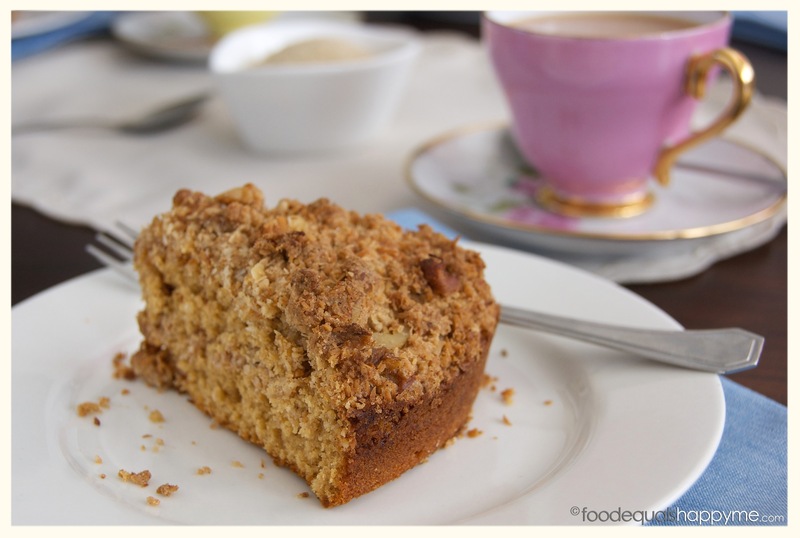 As I started creaming the butter and sugar however, I re-read the recipe more carefully and realised that this coffee cake didn’t actually have coffee in it and in fact was just a coffee style cake, which is essentially a cake with a crumb topping. Oh well, I had started mixing it already so I was committed to see it through. Although not what I actually had in mind when I got the mixing bowls out, it was still a nice cake. And I think it would have been even better with a little dollop of cream with it. 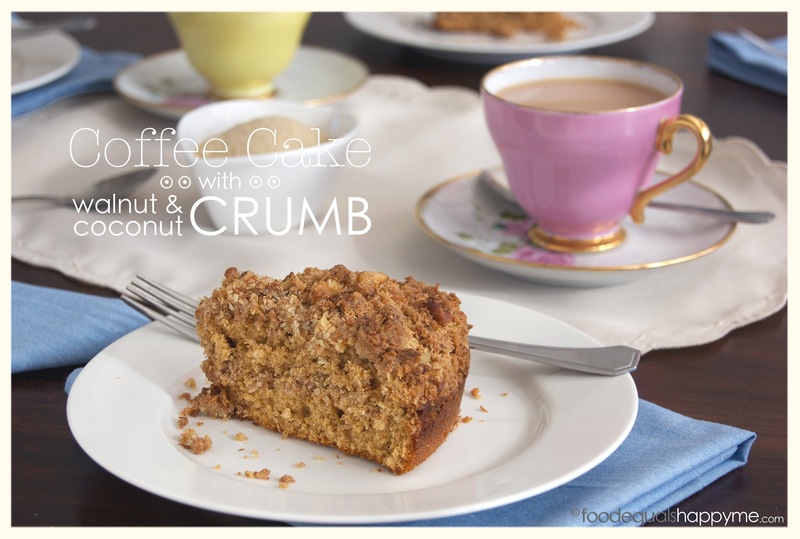 Toasted nuts and coconut surrounded by cake isn’t such a bad thing, and I have to admit I did decide to add a little coffee to the cake mix so that it had some coffee flavour, I just couldn’t help myself. 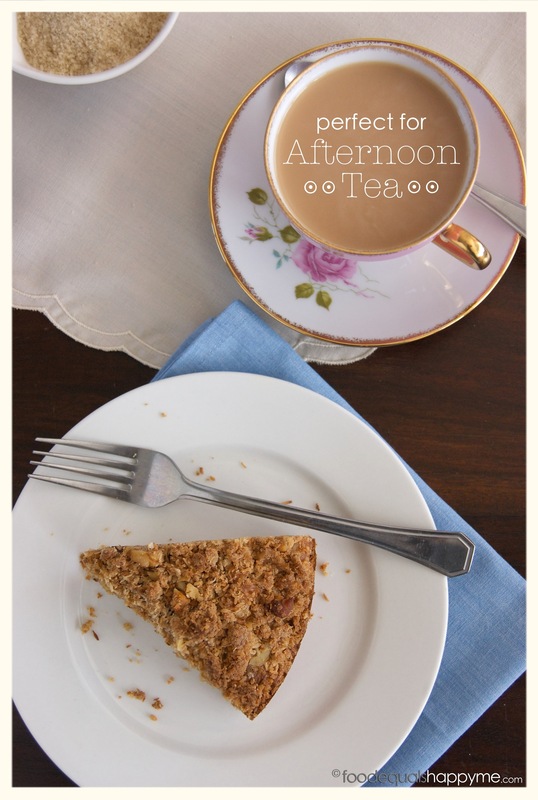 Coffee style cakes are called that as they are meant to be enjoyed with coffee or tea, so it really is the perfect afternoon treat for the long weekend. Preheat the oven to 175 degrees celcius and grease and line a 20cm round baking tin. To prepare the cake mix cream the butter and caster sugar in bowl until light and creamy. Add the egg, vanilla essence, and salt and beat well. Sift in the self raising flour, add the milk and coffee mixture and stir to combine. 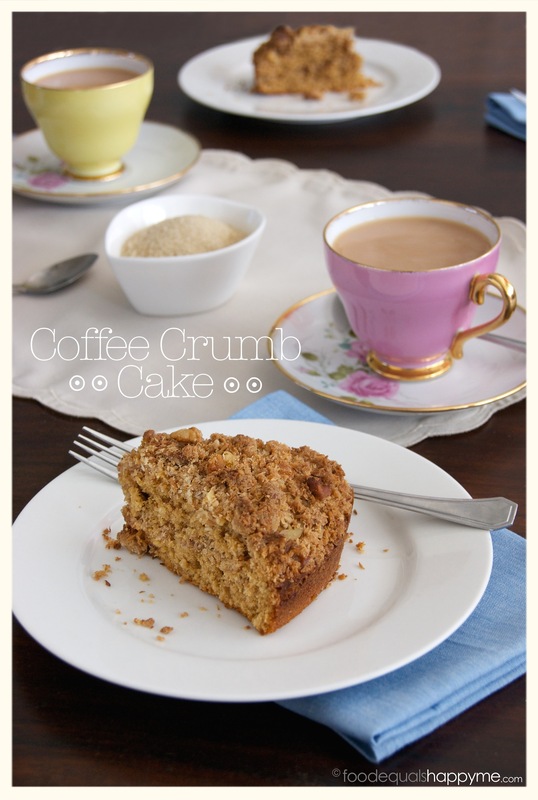 To prepare the crumb topping cream the butter and brown sugar in a bowl until light and creamy. Add sifted flour and cinnamon, stir, and then add the walnuts and coconut and mix to combine, the mixture will of course be crumbly. Pour half the cake mix into the prepared pan, then scatter over half of the crumb mixture. Add the remaining cake mix on top, trying to fill in as many gaps as you can (It’s easiest to put small dollops of cake mix all over the crumb mixture to cover as it is hard to spread without mixing in the crumbs underneath) and then add the final half of the crumb mixture over the top. Bake in the preheated oven for 20mins or until cooked when tested with a skewer. Serve warm with coffee or tea.